VoxxLife ™ is a Mississauga, Ontario based company that has developed their signature VOXX HPT (Human Performance Technology) based on 45 years of research in Neuromuscular Science. VOXX HPT is a very specific sequence and pattern of neuroreceptor activation on the bottom of the feet that triggers a signal and aides in the brainstem reaching homeostatis. The VOXX HPT pattern is woven or molded into different iterations of products including hosiery and footwear accessories. Voxx products are designed with the end user in mind. 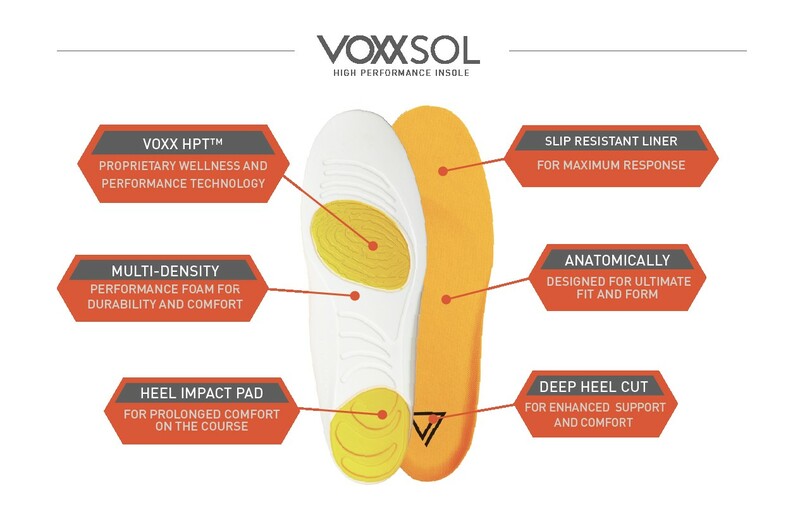 Every Voxx STASIS Sock and VoxxSol Insole are embedded with the Voxx HPT technology. In addition to providing benefits that make these the best socks and insoles in the world, the best materials are used in producing the best quality and feel for all Voxx Life products. The documented results and benefits arising from the products incorporating the VOXX HPT pattern include enhanced pain relief and management, especially PDN pain, enhanced postural stability and balance, and improved mobility and overall energy levels. The concept is simple. The science is proven. The results are extraordinary. As a VOXX Associate, we offer all VOXX Products and information through the VOXX Life website. Learn about VOXX HPT and the latest research and studies surrounding it’s benefits to brainstem functionality and the peripheral nervous system. View all the website pages to learn more about the VOXX Life HTP Technology. Business Opportunity (if you would like to become a VOXX Life Associate, please call Elizabeth Kovacs to learn more. There is a separate and customized program for Medical Practitioners; including MD’s, Chiropractors, RN’s, Nurse Practitioners, Physical/Physio Therapists, Message Therapists, Nutrition and Wellness Consultants and anyone involved in the wellness field.) Additional information will be emailed to you upon request to describe how this special program works. If you have any questions or wish to become an Associate and share the VOXX LIFE Products with your customers, family and friends.